Cloud computing has existed since the dawn of the internet, but only in recent years has it become a household term. Anyone who has touched a computer, tablet or smartphone over the last decade is regularly using cloud services. Whenever we scroll through Facebook or Twitter, watch streaming videos, access an online email service like Gmail or Outlook, or use the apps on our phones, we are accessing data stored on the cloud. The general public has been quicker to adopt cloud services than the business world, mostly because the data that companies use to run and grow their businesses is highly sensitive. It’s taken a while for companies to transition from in-house data and systems management to cloud computing, but that too is changing. In 2017, Forrester Research predicted that 50% of global enterprises will rely on at least one public cloud platform by the end of 2018. In addition, the global public cloud market will be valued at $178 billion and the market will only continue to grow. Cloud computing is the wave the of future, and it seems the future is already here. Businesses are utilizing cloud services at an increasing rate for obvious reasons. IaaS providers offer configured hardware and software through a virtual interface. Servers, storage, networking and security features are the basic services IaaS provides. Your email hosting company is an IaaS provider. Common business applications for IaaS include testing and development, website hosting, backup and recovery, high-performance computing (involving complex and variable calculations) and data analysis. IaaS is an economical cloud solution for businesses because it eliminates capital expenditure related to on-site hardware or data centers. PaaS provides an environment that allows users to build internet applications and services, from simple apps to sophisticated enterprise applications. PaaS offers all the same services as IaaS, with an additional layer of middleware, development tools, business intelligence services and database management (among other services), so it’s frequently used by software and web developers. Customers buy the PaaS resources they need from a cloud service provider on an as-needed basis and access them via a secure internet connection. PaaS reduces coding time, gives developers greater flexibility and adaptability, and creates a sense of community among the development team. Typically, developers working on an application work in different locations, and PaaS makes it easier for them to collaborate. Email, calendars, web conferencing tools, project tracking and office tools such as Microsoft Office 365 are all examples of SaaS services. Basically, SaaS are office solutions that allow businesses to work more efficiently and in a more systematic, organized way. SaaS applications are commonly used for accounting and invoicing, sales tracking, performance monitoring, interoffice communication and overall planning. Customers pay only for the software they use and have access to highly sophisticated applications without the burden or expense of buying and managing them independently. DRaaS uses cloud resources to safeguard and protect applications from disruption and loss. Data loss and disruption is a major concern for businesses of all sizes because downtime can be costly to the point of ruin. If a system goes down, it’s essential that it gets back up and running again as quickly as possible and that the data within that system is retrievable again. 1. Develop a cloud strategy. Your organization is unique, and therefore has unique needs on the cloud. To ensure a provider meets your requirements, conduct a review of their infrastructure, compliance policies, data protection policies, development practices and data classification procedures. Only then will you know that the provider is a fit. 2. Look for the best service level agreement (SLA). Inquire about bundling all your services into a single monthly payment, which will shift significant amounts of IT dollars to operations and make it easier to manage your services at optimum levels. 3. Check their security, then check again. Consider the provider’s risk management policies, audit compliance record and vulnerability analysis. Data security is something no business can take lightly. 4. Monitor the service. It might be easy to transfer your data to the cloud and forget about it, but if you want to ensure your services do what they’re supposed to, you’ve got to keep a watchful eye. Stay on top of bandwidth issues in particular to keep your services running smoothly and efficiently. So, are there any downsides to cloud computing? 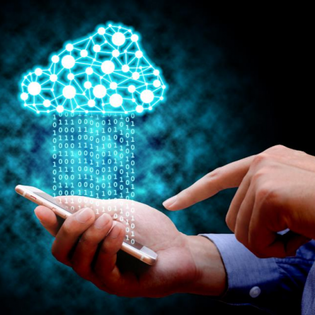 The advantages of cloud computing outweigh any potential downsides, but there is one thing to be aware of: Once your business makes the leap to cloud computing, you’ll want to be sure your data is easily accessible and that you can choose new cloud service providers as you wish. The rapid rate of change and advancement in technology means that new services and new providers appear on the cloud all the time. If a better or more affordable solution for your particular needs emerges and you want to make the switch, ensure that you have the ability to do so.